We have a discount code for the Prosper show, if you’re planning to meet us there. See the MBS Out & About section for more.Under Sellers’ Paradise we give you 5 unique ways to promote your business using video, in Tips & Tricks we cover the new MBS interface and how to make the switch, and in The World of Amazon we check in on Amazon Australia, and look ahead to how to listen in on the upcoming 4th Quarter Results call.SellerConSellerCon is the event for Amazon sellers, both new and established, and it’s happening this June 21st thru the 23rd. 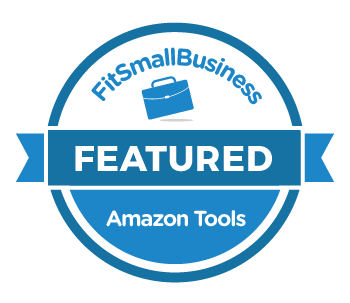 Join thousands of Amazon sellers in Las Vegas, Nevada to discover what’s working now on Amazon, what’s changed, and how to build a thriving global brand.ManageByStats will be in attendance, and we’ve got a very special deal and we’re sharing it with you, our users. For more on SellerCon -- and to get this special offer -- visit the SellerCon site:SellerCon 2019PROMO CODE: MBSHope to see you there!Have a great weekend, and a great next week! We’ve been updating and improving both our main website and the ManageByStats interface, with enhancements to the look-and-feel as well as usability. More updates are coming.Recently we rolled out a “Light Theme” option for MBS, to go with the existing “Dark Theme”. The new Light Theme will become the default. For the moment we’re maintaining the classic theme to give users time to adjust.This week’s Tips & Tricks will show you how to switch between these themes.If you’re in the Classic theme, you can switch to one of the new themes under the Help menu: That takes you to the new “Light Theme” by default. You can then switch to the “Dark Theme”, or back to the old theme, under the Help (?) at the top left of menu: While the functionality of the new themes is the same as for the Classic, there are some instances of placement that can be different. Note that we’re updating the Knowledge Base to reflect the new themes, so bear with us as that change is made.These things are in flux at the moment, and we greatly appreciate your patience as we make the transition to this more modern interface.We’re doing it to make things better, easier and faster for you. “Do something today that your future self will thank you for.”- Bianca MillerAll the best,Your ManageByStats Team Read Our Newsletters Online! And don't forget to share ManageByStats with your friends. Our affiliate program pays you an ongoing 25% referral commission.See the Affiliate menu under Settings in your ManageByStats.